Developing case studies around digital content subject areas has been a major focus of the NDSA Content Working Group, and the activity has enabled members to share the concerns and challenges specific to their communities. The purpose of these case studies is to establish the value of preservation, recognize opportunities for preserving content, identify and engage stakeholders in the preservation process, consider obstacles and risk factors that threaten digital preservation and provide suggestions for next steps. The first set of case studies was created by the News, Media and Journalism Content Team, who shared their concerns for Digital Community and Hyperlocal News, Newspaper E-prints and Citizen Journalism. 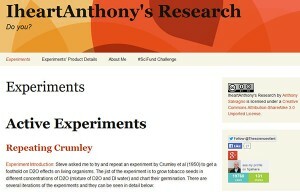 I participate in the Science, Medicine, Mathematics and Technology content team (“the science team”), along with Trevor Owens, Abigail Potter and Jennifer Harbster of the Library of Congress, and together we have prepared two brand new content case studies, one on science blogs and one on science forums. These case studies were inspired by the discussions and call to action summarized in the NDIIPP report Science@Risk: Toward a National Strategy for Preserving Online Science, produced following a Library of Congress summit of science bloggers, representatives from citizen science, individuals working on innovative online science publications, archivists, librarians, curators and historians. Participants voiced concern that much of what they deemed to be most valuable was also at most risk of loss as it does not clearly fall into the existing collecting practices of libraries, museums and archives. The science team’s case studies focus on two such areas of valuable content. Reflect and may influence a wide range of viewpoints, and capture dissenting opinions and new trends not found in other publications. Serve as a record of who did what and when and will serve as a data mine for understanding trends in scientific practices and attitudes, and how ideas evolve. 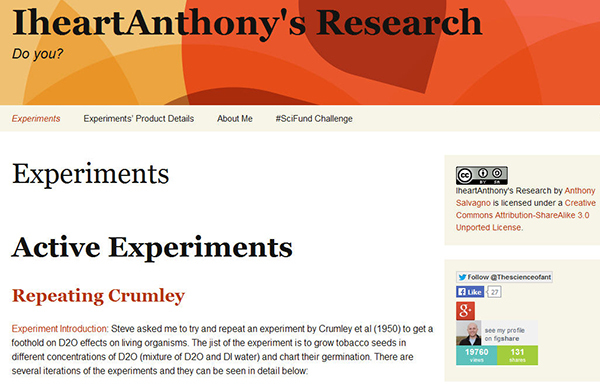 Provide insight into the environment of science, medicine, technology and mathematics. Show how science, medicine, technology, and mathematics is communicated among collaborators and broadly in the scientific community. Science, medicine, mathematics and technology blogs include everything from blogs that professionals keep about their personal lives and activities, to open notebook science where practitioners are sharing their daily raw notes, to more reflective and commentary based blogs by individuals, professional organizations and institutions. Included also are blogs about science, medicine, mathematics and technology that document the perspectives of the many other individuals and groups who engage in these topics, including the voices of citizen science, healthcare, science policy and science news. Science, medicine, mathematics and technology forums have become a popular mode for scientists, mathematicians, engineers, doctors and technologists to talk to each other. Places like Stack Overflow, Math Overflow, and Science Forums have extensive amounts of these discussions. Science also comes up a lot in non-professional discussions, for example, forums for video games that broach science topics, or a range of forums that exist around science controversy in the general public ( such as evolution and anti-vaccination). 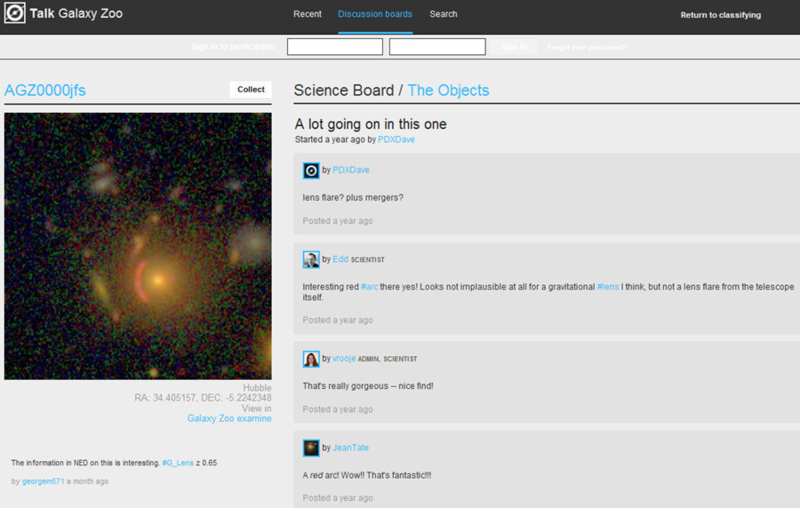 Many Citizen science projects, like Galaxy Zoo, have web forums that serve as a corollary component to the project where users discuss potential discoveries. We invite you to review these case studies and let us know what you think. We are also interested in hearing how elements in these case studies might be extended to other subject areas, or perhaps even more broadly to the content types identified in the National Agenda for Digital Stewardship (electronic records, research data, web and social media and moving image and recorded sound). For more information, to provide feedback, or to get involved, contact ndsa@loc.gov (please include the subject line: Content Case Studies). Update: On 2/24/14 an image was replaced. This is a syndicated post. Read the original at The Signal: Digital Preservation 2014-02-24. ← The future of statistical analysis is in open-source programming, not domain-specific proprietary software.